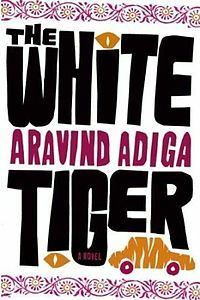 Posted on October 20, 2012, in Book Reviews, Indian authors and tagged Aravind Adiga, India, Man Booker Prize. Bookmark the permalink. 10 Comments. This book truly lives up to its name! It is undoubtedly A White Tiger in the jungle of many. I bought the book the year it was released,not knowing how it’d be or what it was about! Only bought it coz it won the Man Booker Prize that year. It was a reading experience like never before. The minute and delicate details, the dilemmas that Balram faces,his struggle & everything is just very “relate-able”. The story of man from Darkness who shines in Light cannot be told any better than this. I am simply proud of Adiga, it feels great to have this kind of a writer amongst us. His style is completely different from most of the other indian authors,basically because his story does not only concentrates on the Girl-Boy relationship like all others but on every other relationship a man could possibly have and more. The most enthralling one is the relation between him and his master. I have to say I loved this book. I read it from cover to cover in a short period of time. Adiga brilliantly deconstructs Belram so that we can see where he comes from, while critiquing the hardship of life in India – working, family life, cast system, society, etc. Sounds like an interesting critique of his own country by a native son. ohh! was that a review or an abridged version of the book? ?